During 2011–12 PHA completed a project to provide policy developers and decision makers for the first time with a comprehensive picture of how Australia deals with weeds. The aim was to ensure that future investment in weed management is strategic, effective and economic. A large number of stakeholders were surveyed about their weed management efforts, from the Australian Government to local governments, utility companies and small community groups. The study was conducted and written by Gavan Cattanach (John Thorp Australia), Adrian Harris (PHA) and James Horne (former graduate project officer at PHA). The project was commissioned and funded by the Rural Industries Research and Development Corporation. 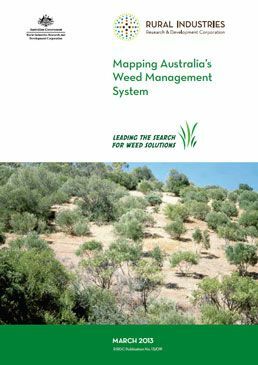 The report, Weed Management in Australia: Mapping Australia’s Weed Management System, is available from the RIRDC website.